I don't know about you, but I am definitely getting excited for spring. There is just so much to look forward to such as warmer weather, being able to go outside for recess again, and working on fun and engaging spring STEM activities with students! 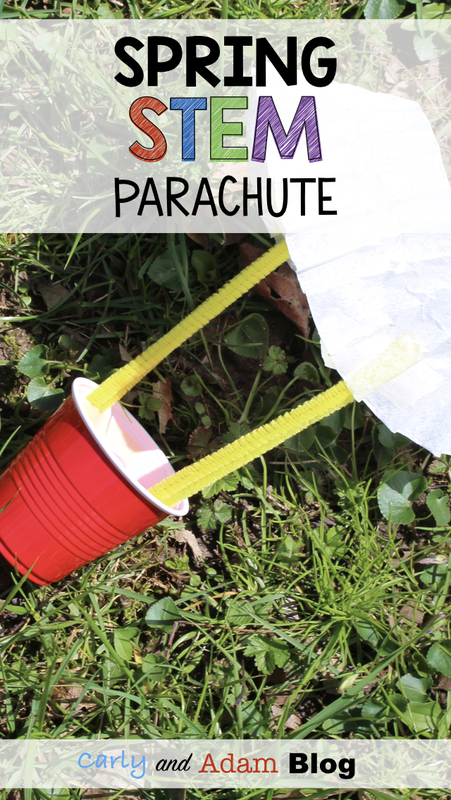 One of my favorite spring STEM activities involves students creating a parachute that will slow down the rate at which a plastic cup drops. After creating their designs students will test the effectiveness of their parachute by dropping them from the same height. The parachute that hits the ground last will be declared the winner. Another fun spring STEM favorite involves creating an artificial pollinator. With this activity students learn about the pollination process and create a device that can transfer pollen (powdered drink mix) from one flower to another. 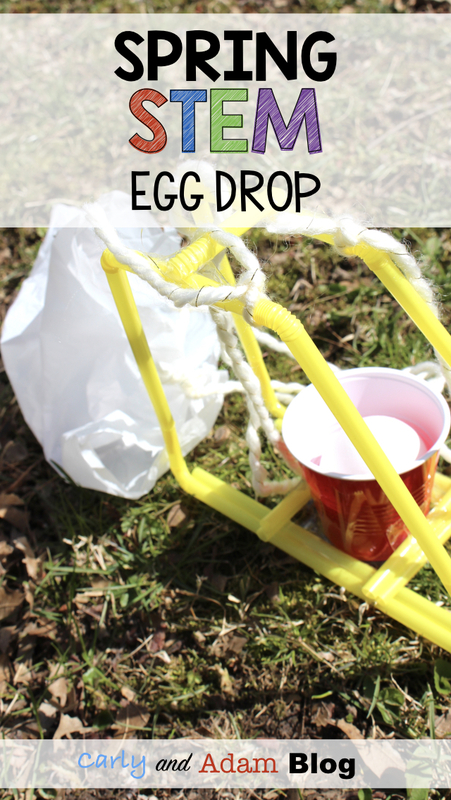 One of my personal favorites and a STEM activity students are sure to love is the egg drop. Students must design a device so that when an egg is dropped it will not break or crack. 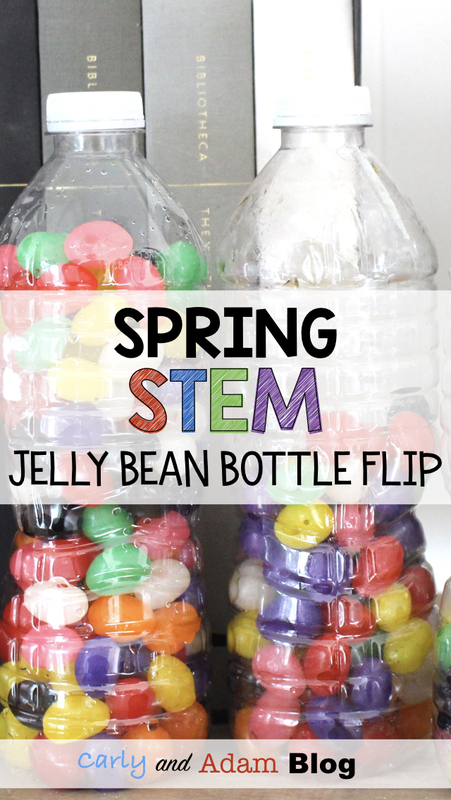 Another student favorite is the jelly bean bottle flipping STEM challenge. For this challenge students must test out three different bottles of jelly beans (full, 1/2 full, and 1/3 full). Students will flip each of the bottles multiple times in order to see which bottle results in the most vertical landings. All of these spring STEM challenges are bundled together at a discounted price and include teacher and student directions as well as student planning and reflection sheets. 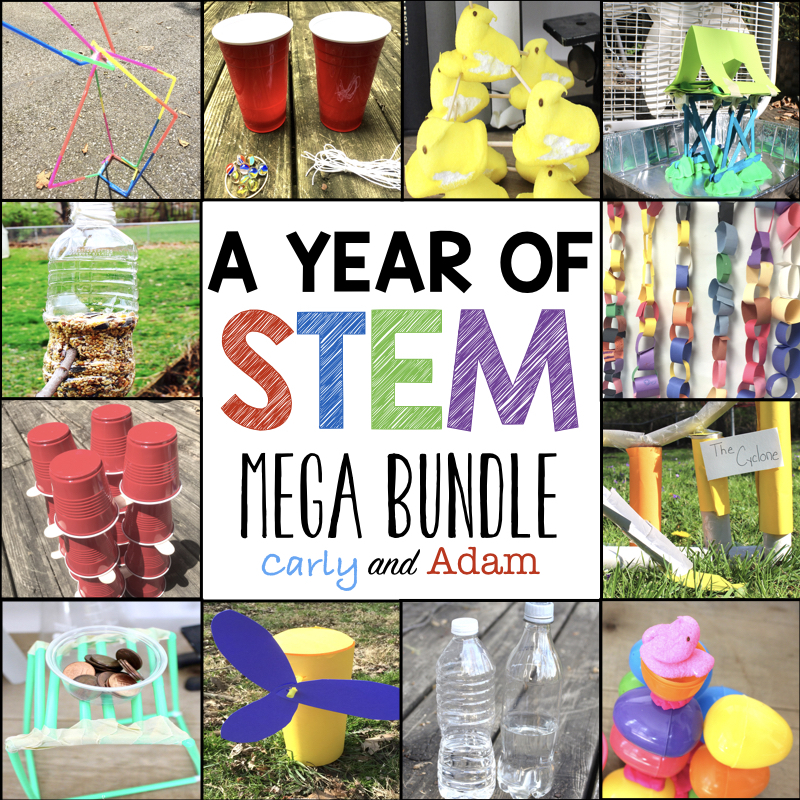 For even more STEM fun all year long check out our year of STEM Mega Bundle. This resource includes over 50 STEM resources that are bundled together to make one great deal!